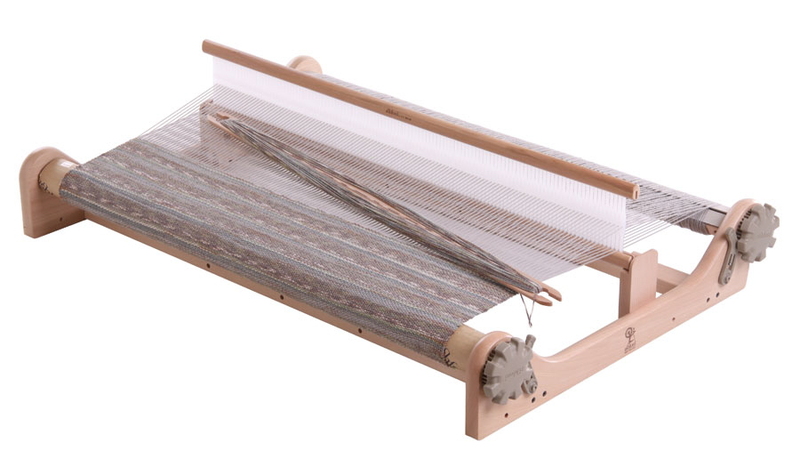 This affordable and portable rigid heddle loom is quick and easy to use. Everything is included in the kit. Quick and easy to assemble and warp. The rigid heddle is a great introduction to hand weaving but is also very versatile. Create beautiful and unique garments and home ware. With colour and texture, weave unique fabrics or with pick – up sticks, create beautiful designs. The loom can also make woven tapestries and wall hangings. Made from Silver Beech hardwood, the loom is very strong and robust. The option of a second heddle kit for multishaft weaving gives extra versatility to this loom. Also available are 2.5, 5, 7.5, 10 and 12.5dpi (10, 20, 30, 40 and 50/10cm) reeds so you can weave fine to textured yarns. Included accessories: Reed nylon 7.5dpi (30/10cm), 2 x natural shuttles 22″/56cm & 30″ 76cm, step by step instruction booklet, threading hook, warping peg and clamp.